A Boysen Tutorial: A Common Painting Problems called Chalking? Oops! Your dark shirt seemed to have gotten lighter after leaning on that wall. You checked on it and realized that it’s caused by powdery granules you got from your chalking wall. What are you going to do? Flex your muscles, DIYer, it’s going to be a long and drizzly ride. We’ve got a wall to save! To expound more on the process, when the coating weathers due to extreme exposure to ultraviolet (UV) rays, the binder that holds the paint together loses adhesion and then separates. To visualize more easily and clearly, think of the white chalk stick your teacher always used to write on blackboards back in school. Those chalk marks or remnants left after everything had been erased from the board– that’s basically how chalking looks like– are similar except it happens on your beloved wall without you writing or erasing anything on it. If not resolved sooner, this problem may result to fading and erosion of the paint film and ultimately exposing the surface underneath. But that is not all, DIYer, when worse comes to worst, it may be harmful to your health if you inhale the chalk particles. If you’re still not sure whether your wall is already chalking, use a clean rag and run it across the wall. Use a light-colored rag on dark walls and vice versa. This will surely confirm the condition of your wall. Remember that the color of the chalk particles depends on the color of the paint. Let’s just look into that as a learning experience. Saving your wall from the horrors of chalking isn’t rocket science. Ready? Here we go! 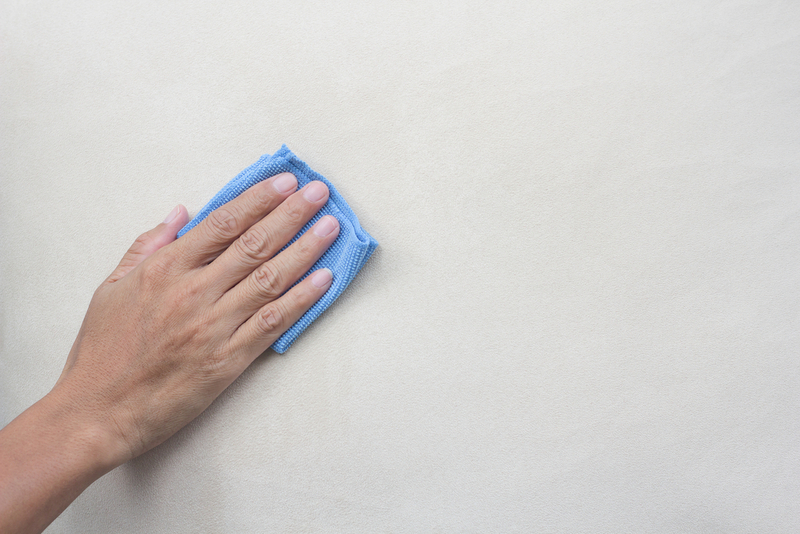 If your interior walls are chalking, you will need a clean damp rag or brush to scrub the surface clean. Mop your floor of any debris and let the surface dry thoroughly before you start priming and repainting the wall. For exteriors, pressure washing may be more convenient if the situation permits. Now you wouldn’t want to welcome another problem so care must be taken to avoid damaging the substrate and its nearby areas. Whether you clean with a damp rag or do pressure washing, allow the surface to dry completely before repainting. It is ideal to use a high-quality primer, like Boysen Chalk Blocker B-7304, to prevent the walls from chalking in the future. It binds chalk residue to the substrate to help maintain its good condition even after months of application. After priming the wall, then you can paint the wall with any color you want. Got other urgent painting problems you need our help with? Check this link. Alternatively, you can send an email to ask@myboysen.com or call (02) 363-9738 local 417 to 418 for a one-on-one consultation. What is the cause of bubbles on painted walls and its remedy. Hi Renato, you will get an email from a Boysen team member to help you with your question.